Raised bed gardening has grown in popularity over the last decade or so. A raised garden bed is in essence a large planting box used for gardening instead of the traditional method of sowing plants directly in the ground. The raised beds, or “garden boxes,” add an aesthetic appeal to the landscape while also providing many advantages to the gardener such as making gardening easier on the body, providing better weed and pest control, making a longer growing season and creating potentially higher yields. If you're toying with the idea of trying out raised bed gardens or even already using them, check out these great tips to make your gardening more successful! When you begin planning raised garden beds, an important consideration is the materials used to construct them. If possible, stay away from heavy wood timbers, railway ties and cement blocks. Instead, stick to thinner wooden timber as it will be lighter. The beds will still be quite heavy, but the thinner lumber will make them easier to move if necessary. The idea behind raised bed gardening is to create an easily accessible gardening space that contains high-quality soil. 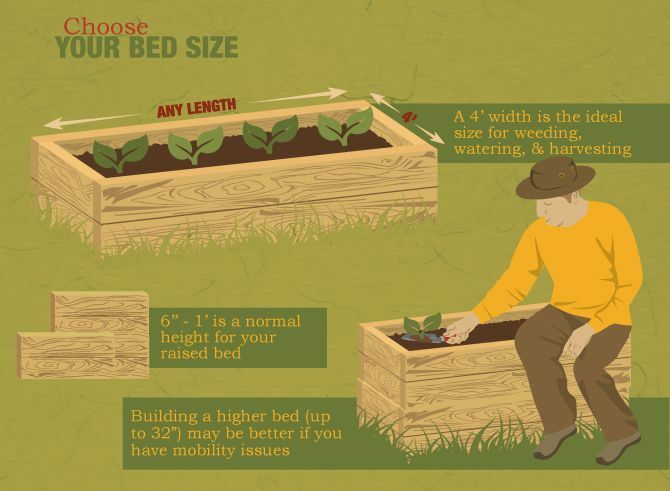 That means creating the beds in a size that accommodates the gardener. SFGate states a width of 4 feet is the right bed size for the average person. This size lets someone reach across one half of the bed width from either side. Weeds are a nuisance in all gardening settings. To keep weeds from growing up from the ground through raised beds, simply create a barrier that stops them. 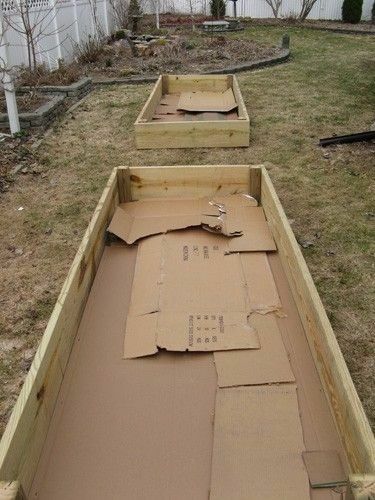 Spread a single layer of thick cardboard down on the soil (or grass) at the bottom of the bed, making sure to cover all of the soil. This will prevent germinating weeds from making their way to the surface. 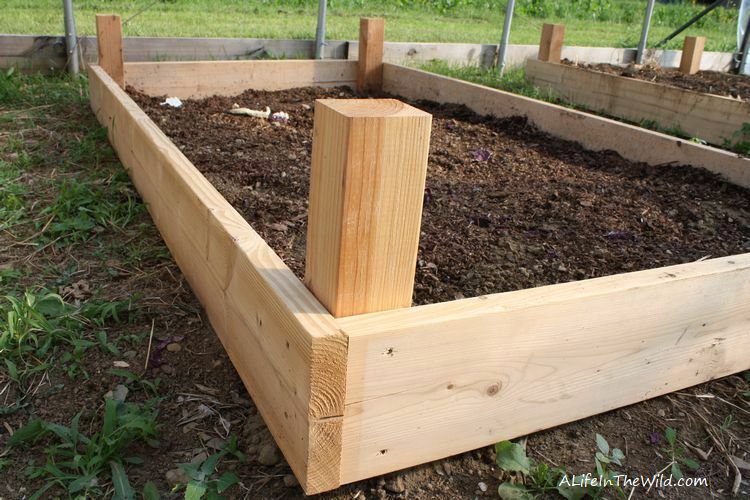 The most expensive part of building raised garden beds is filling them with soil. To cut down on the cost somewhat, add a thick layer of partially composted grass clippings or leaves to the bottom of the beds and then fill the raised bed with soil. Not only will it save some money, but also these materials will break down over time, helping to nourish the soil. Row covers and bird netting are an important accessory for gardening. They help to protect plants from extreme sun and temperatures as well keeping birds and insects from reaching the plants. 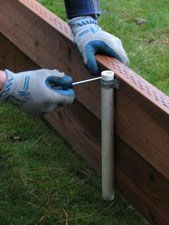 Secure pieces of PVC pipe vertically to the inside walls of the beds before filling them with soil. 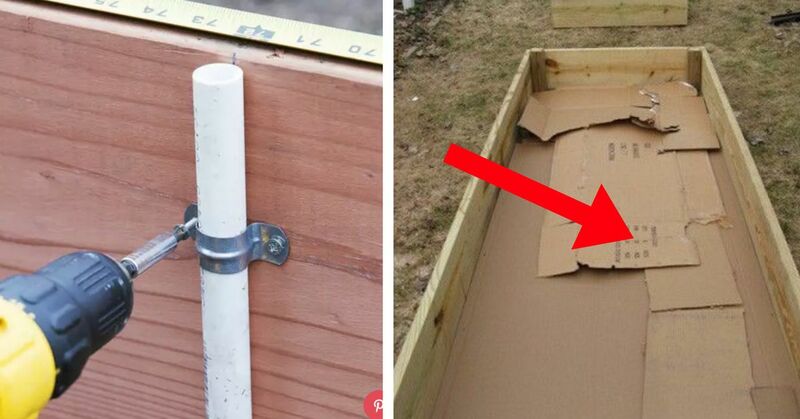 When it's time to cover the plants, it's easy to drop the ends of the support hoops inside the PVC pipe. Popular Mechanics provides great tips on building bed covers and attaching the PVC pipe to the frame. 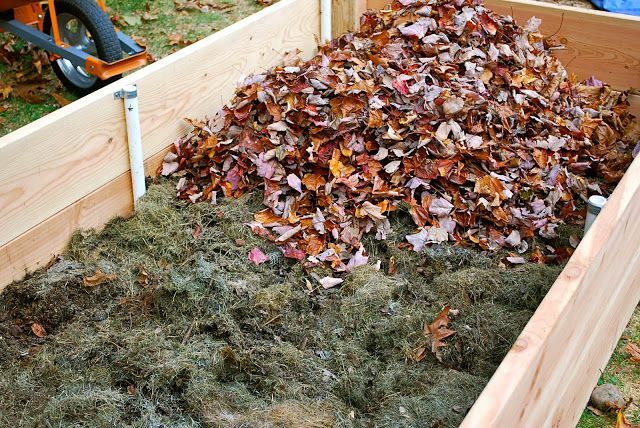 In the fall, remove all of the plant material from the raised beds and cover the exposed soil with a 2- to 3-inch layer of mulch. 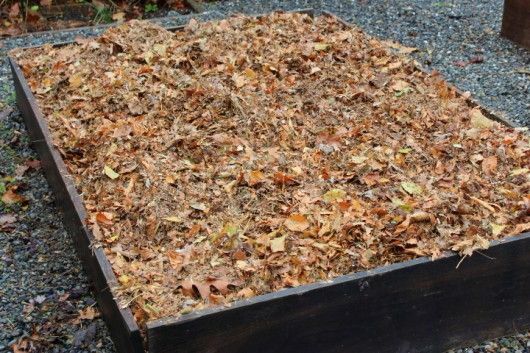 Use store-bought mulch or something found in your yard such as fallen leaves or grass clippings. The mulch will help retain soil moisture over the winter and will add nutrients to the soil as it decomposes.